Award-winning cookies capture the tart-but-sweet taste and pleasing crunch of key lime pie. 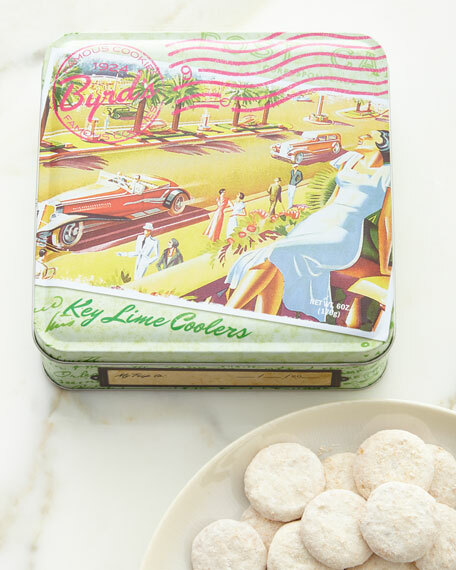 42 cookies arrive in a charming vintage-style travel postcard tin. Serves 6, seven cookies per serving. Tin measure 6"Sq. x 2"T.
For in-store inquiries, use sku #1729033.